Want to be part of literacy development and archaeological heritage education in Belize, Central America? 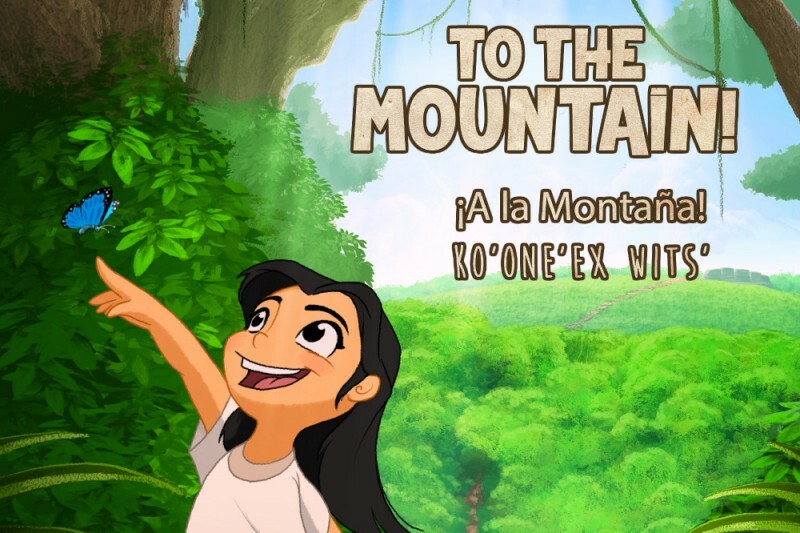 Consider supporting the "To the Mountain" Maya Story Book project. 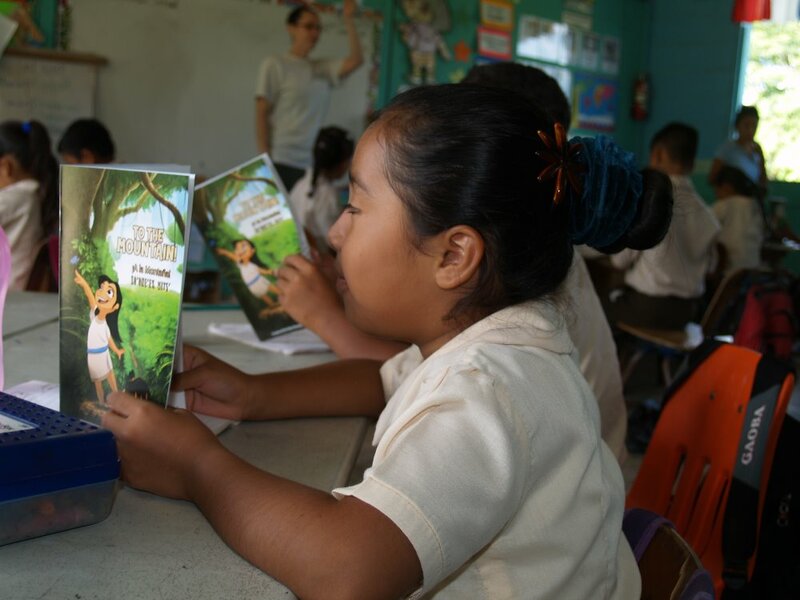 In summer 2016, we distributed this trilingual (English, Spanish, and Maya), interactive, and archaeologically accurate children’s book to over 800 primary school kids in Cayo District, Belize. 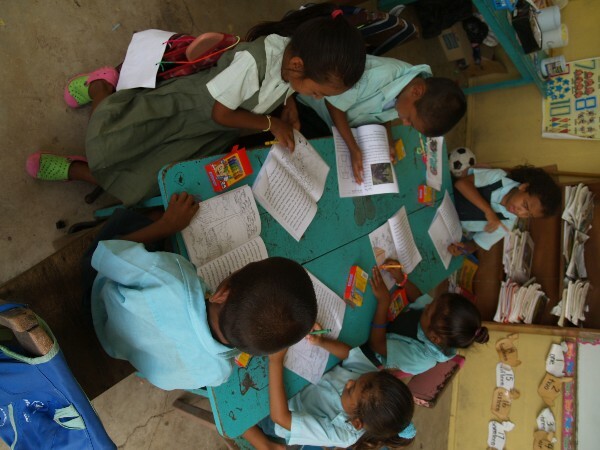 Your donations will support a second printing of "To the Mountain" to reach more kids in Belize! The book transports readers back in time to take part in an adventure with Maya kids Little Moon and Running Jaguar! They go on a journey to visit a big construction project at the temple of the Clay Mountain capital. Join them as they trek through the jungle, over the river, and up the big white road to reach the capital! You can pre-order a copy of the book for yourself or a loved one at this link. The story incorporates significant plants, animals, clothing, artifacts, and locations with an interactive 'Did You Spot It?' game and detailed information about archaeology at the ancient site of Katyaatz Witz (Clay Mountain), today known as Xunantunich in Belize. By supporting this project, you will be a part of improving literacy and promoting heritage for kids living around Xunantunich today. The story is illustrated by Frederic Wierum, author of The Amazing Age of Dinosaurs: Jumbo Coloring & Activity Book. Spanish translations were conducted by Mrs. Boryczka's AP Spanish students at Keystone School in San Antonio, Texas. Maya translations are being conducted by Fernando Tzib. Donations can be made through this website, in person to the project coordinators, or by mail. Contact us through this site if you would like to arrange a non-web based payment or would like more information. You can also check our website at our Fajina Outreach website or follow us on Twitter @FajinaArchaeo for more information on contributing to the project and to see more about the distribution in Belize! This project is organized by the Fajina Archaeology Outreach organization. We are a group of archaeologists dedicated to being involved in local communities and preserving ancient heritage for the future and in people's lives today. 100% of the funds raised will be dedicated to this project and getting great books in the hands of Belizean kids! THANK YOU! We are so excited to share this story with the kids and all of you! Full version Second Printing of To the Mountain! is in! Second Printing of the To the Mountain! Coloring Book have arrived!! Let us know if you want a copy! Full versions should be arriving soon! $15 donation covers the cost of your printed copy and 2 copies for Belizean kids! If you missed the first printing of To the Mountain!GET YOUR COPY NOW!! We have a SECOND PRINTING planned in two weeks! To the Mountain! 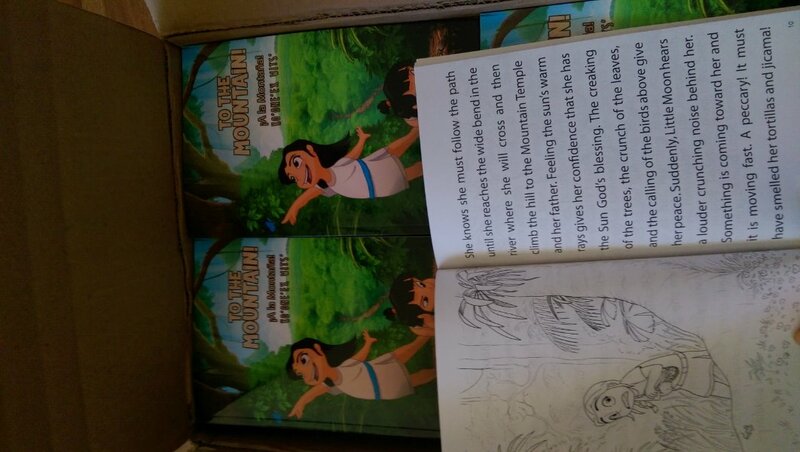 is the first trilingual (English, Spanish, Yucatec Maya) archaeologically-inspired children's book written and illustrated for Belizeans by Belizeans and archaeologists! You can donate through this gofundme campaign or visit our website http://fajinaoutreach.org/tothemountain to purchase copies through PayPal. $15 covers the printing cost of one full color copy and supports the printing of 2 additional copies for Belizean kids! Thank you for your support of this great project! We are currently working towards developing a full trilingual audiobook featuring Belizean kids themselves! The schools we distributed to included Succotz R.C., Succotz Victorious Nazarene, Calla Creek R.C., and San Antonio United Pentecostal. Thanks again for supporting this project and literacy initiative!! Stay tuned for more!! Infant II students at Calla Creek R.C. exploring their coloring book!